San Francisco, Calif – October 9, 2017 – Ridecell,™ Inc., the leading global platform for carsharing and ridesharing operators, today announced the acquisition of Auro, a California based developer of autonomous vehicle technology, in an all-stock transaction. Ridecell also announced the public availability of its autonomous operations platform which has successfully been used in autonomous pilot programs. With these two initiatives, Ridecell now offers the industry’s first complete autonomous new mobility solution that enables on-demand autonomous shuttle mobility service in low-speed, private-road settings. The Auro acquisition will bring the expertise to accelerate the capabilities of the Ridecell autonomous operations platform. The Auro team will become the Ridecell Autonomous Driving Division. Ridecell will be able to extensively test its autonomous operations platform in real world environments through integration of Auro-enabled driverless shuttles in private road environments. Ridecell will continue to collaborate with autonomous leaders to apply the Ridecell platform to the world’s leading self-driving vehicles for automated management of operational tasks such as cleaning, refueling, and emergency response situations. Auro’s autonomous technology is the leading self-driving platform for low speed deployments. Auro partners with shuttle manufacturers to add self-driving capabilities to leading shuttle and neighborhood electric vehicle platforms. These shuttles can safely drive people around within campuses, theme parks, resorts, business parks, and retirement communities. Private environments with low-traffic, low-speed roads provide the perfect setting for deploying autonomous vehicles today. 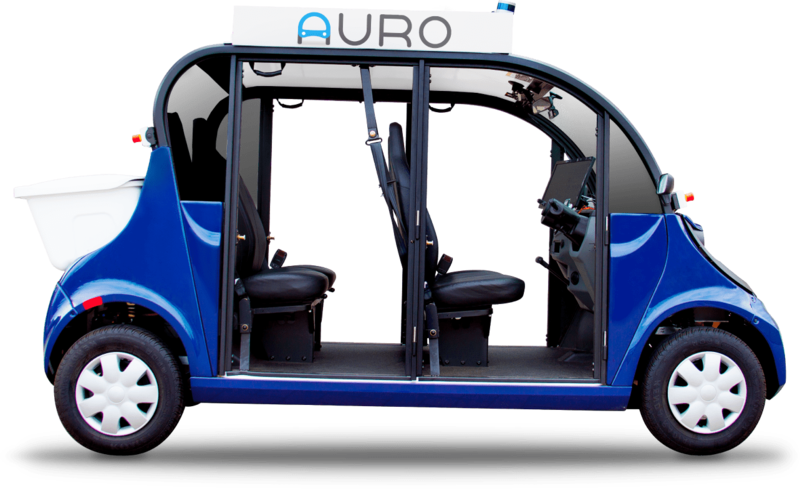 Auro-enabled shuttles were among the first driverless shuttles put into daily operation on the Santa Clara University campus in California and have already provided safe transportation to thousands of riders. Ridecell also announced the availability of its new autonomous operations platform. The platform is designed to automate vehicle and operations management for autonomous fleets. The platform gives autonomous vehicle fleets the intelligence to manage their own operational tasks, in both routine and emergency situations. The platform can direct autonomous vehicles to operations depots for maintenance and route support vehicles to the autonomous vehicle for routine operational tasks such as cleaning as well as on-demand assistance in exceptional situations. The platform also automates vehicle access so service personnel are able to enter the vehicle. Additionally, the platform automates reporting for autonomous compliance and risk data. Today’s announcement cements Ridecell as the leading new mobility company with a platform that scales from driven to driverless new mobility services. Ridecell is on a mission to empower new mobility operators, including OEMs, car rental companies, auto clubs, cities, transit agencies, dealer groups, and private fleets to launch,expand, and maximize the utilization of their own ridesharing and carsharing services. Headquartered in San Francisco, the company provides an intelligent software platform that runs new mobility services, such as carsharing, ridesharing, and autonomous fleet management. End-to-end integration and automation accelerate time to market, enabling Ridecell customers to launch mobility services quickly, operate efficiently, and scale revenues as business grows. Founded in 2009, Ridecell has already processed over 20 million rides and rentals and has a team of more than 100 professionals in the US, Europe, Asia and Australia. The company now powers new mobility offerings, including BMW’s ReachNow, VW’s OMNI and AAA’s GIG Carsharing service. In addition, Ridecell powers dynamic shuttle services for campuses such as Georgia Tech, UC Berkeley, UCSF, 3M, and transit agencies like SouthWest Transit. Stuttgart/ San Francisco, Jan 31, 2017: Daimler and Uber today announced an agreement on their intent to cooperate on the supply and operation of self-driving vehicles. Under the terms of the cooperation Daimler plans to introduce self-driving vehicles also on Uber’s global ridesharing network in the coming years. Daimler is the first auto company to join with Uber as it opens up its platform for manufacturers to introduce their own self-driving cars. Each company will benefit from the other’s industry-leading capabilities in research and development of autonomous driving and network operations.